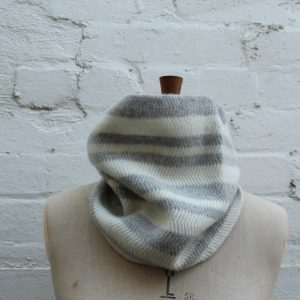 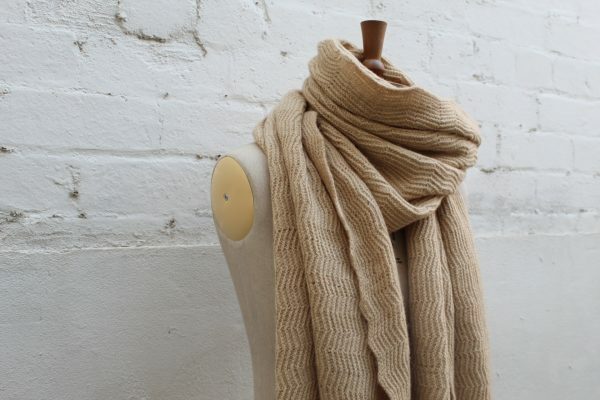 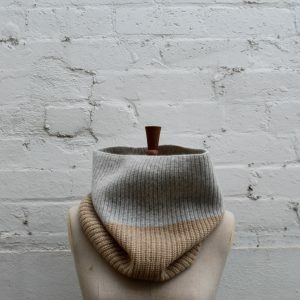 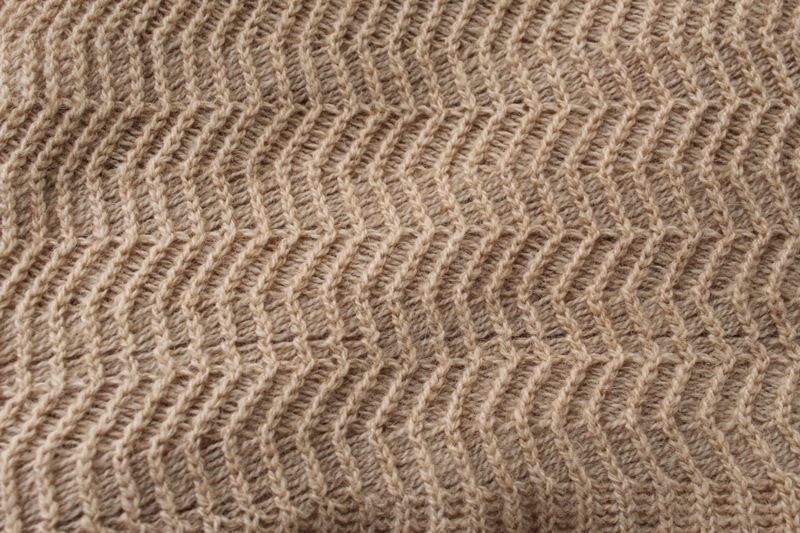 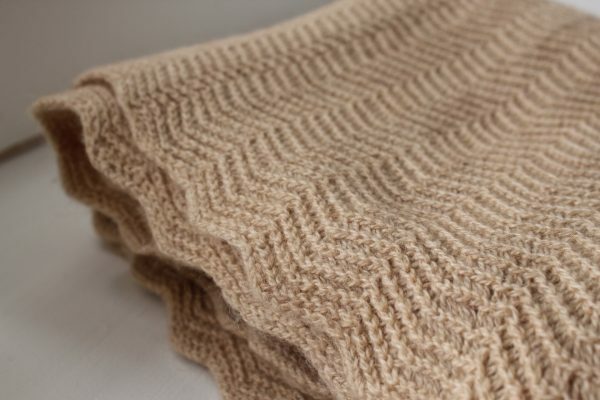 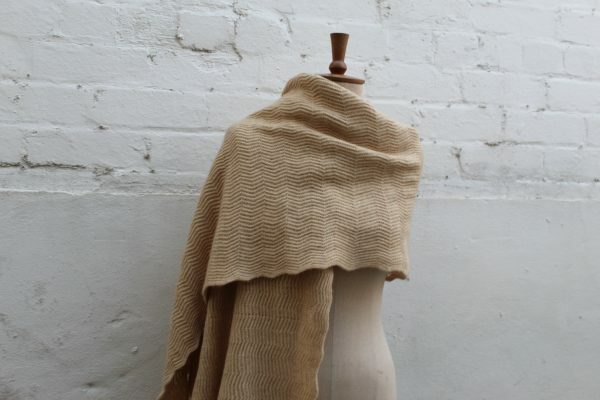 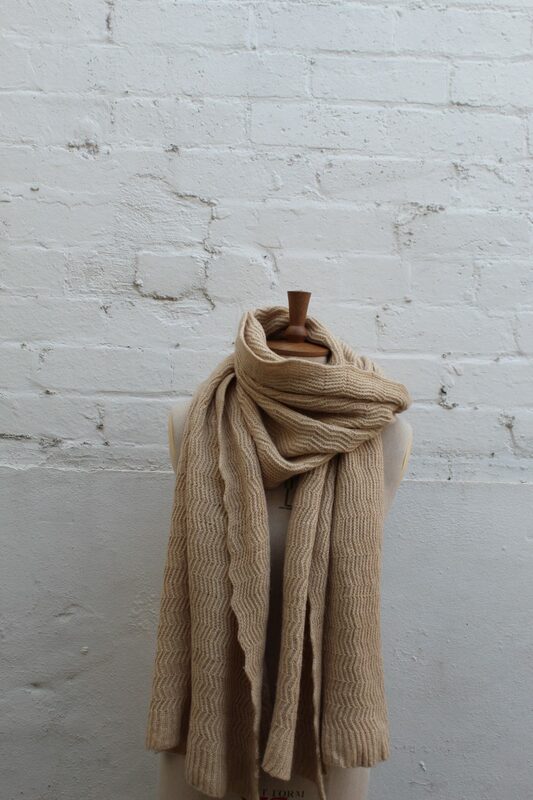 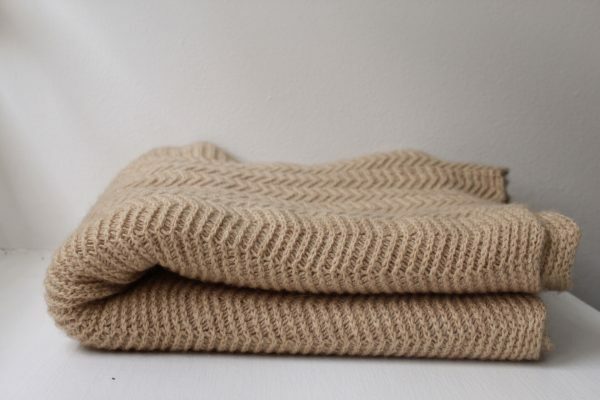 Knitted camel hair scarf made on a vintage knitting machine by hand left in its natural colour. 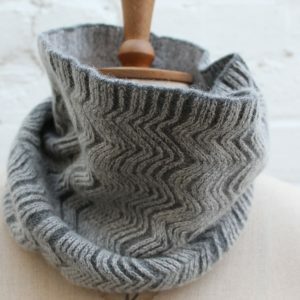 Featuring an open herringbone textured design, this scarf is lusciously soft, billowy & light. 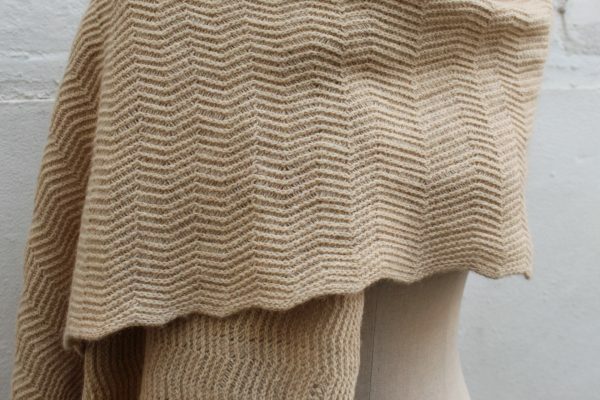 This piece boasts a delicate zig-zag edge & the natural hue is a perfect neutral, so pairs well with any colour. After construction this piece is washed & steamed to bring out the natural softness of the yarn & feels beautiful against the skin. 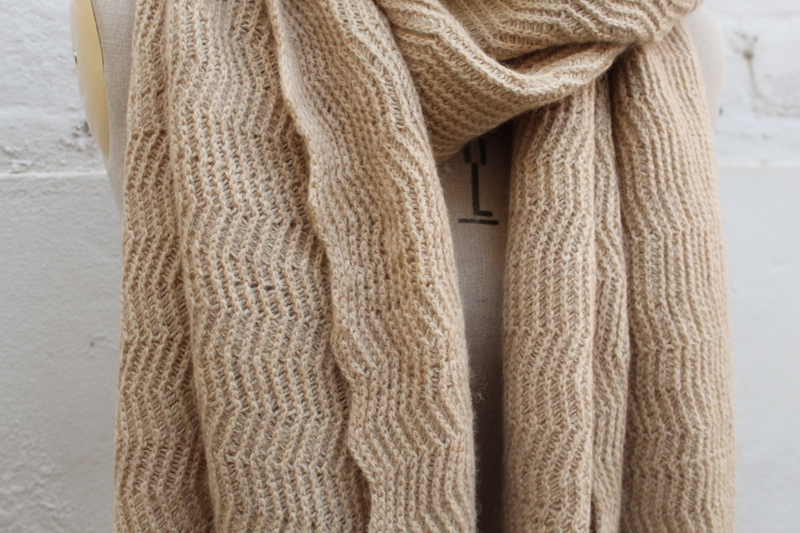 Pictured is XL size. 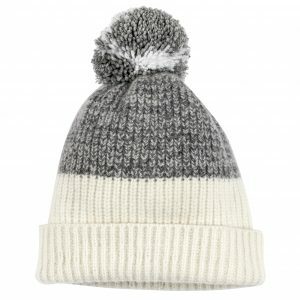 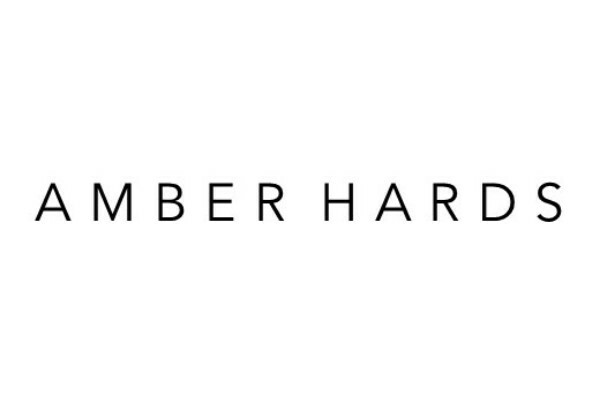 This product is made to order, please allow 2-3 days processing time before shipping.